From the late 1940s until August 1980, Crandon Park Zoo on Key Biscayne was the place to see bears, tigers, monkeys, reptiles and birds just a few steps from the beach. The zoo, located in the 900-acre Crandon Park, opened in 1948 and was the county’s first. It blossomed from the misfortune of a traveling animal show: The show’s caravan broke down, leaving two black bears, three monkeys and a goat stranded. 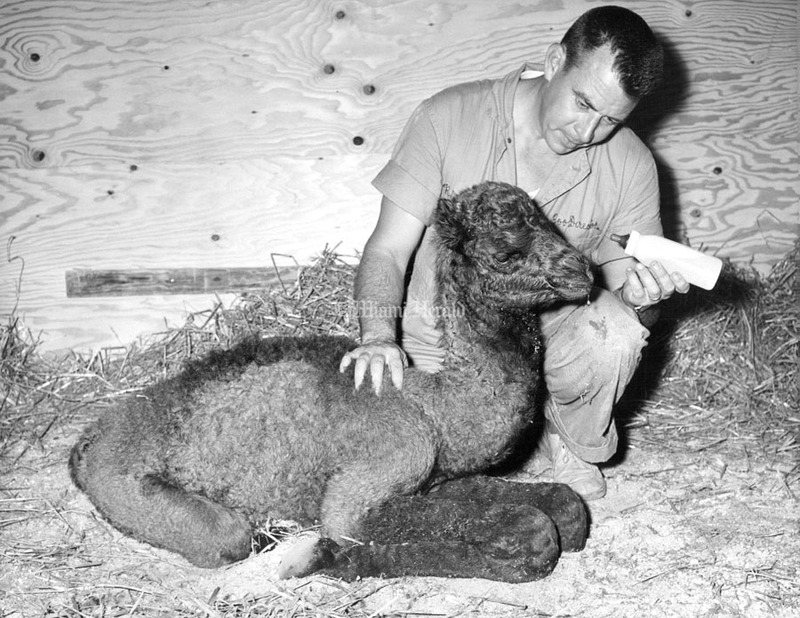 Over the years, the zoo purchased animals, received some as gifts, traded with other zoos and picked up strays. 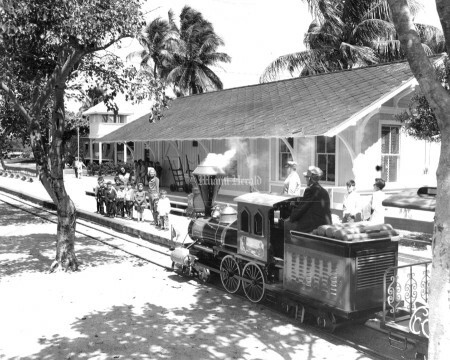 It even had a miniature train that took visitors on a 1 1/2-mile track along the periphery of the zoo. The zoo also had its share of controversy. 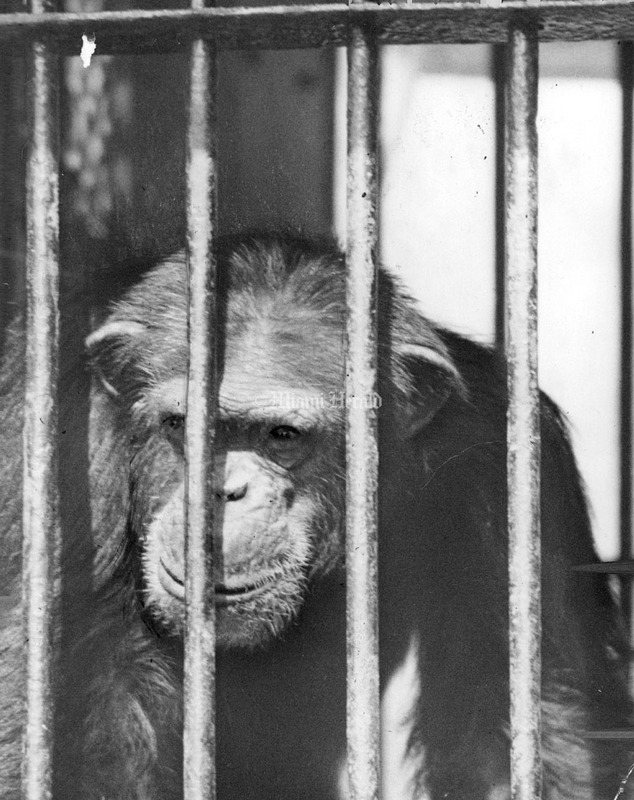 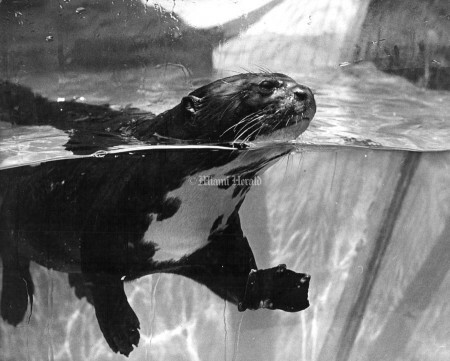 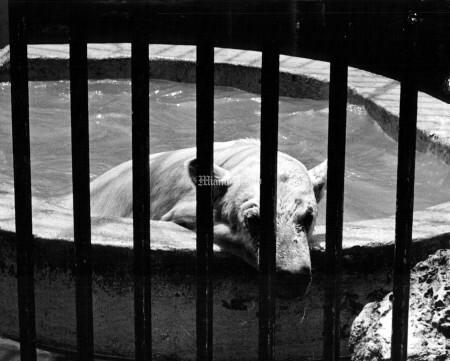 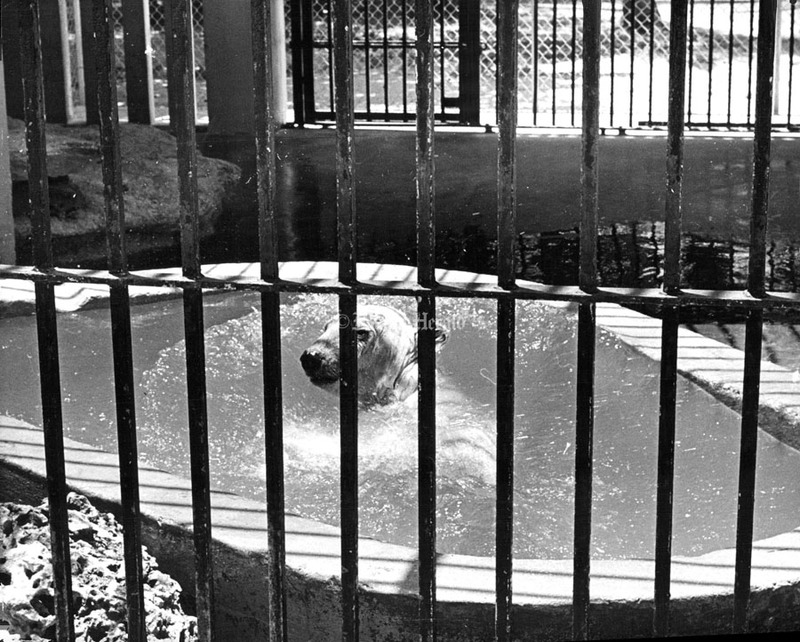 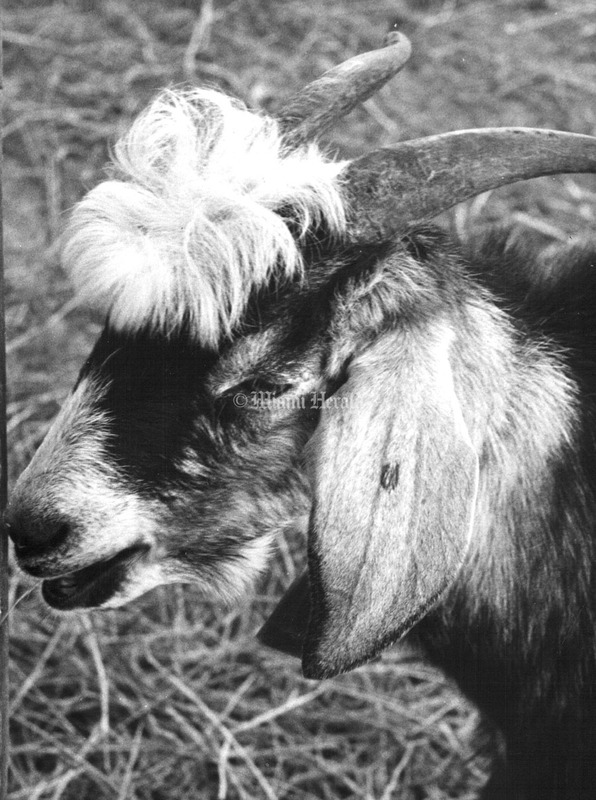 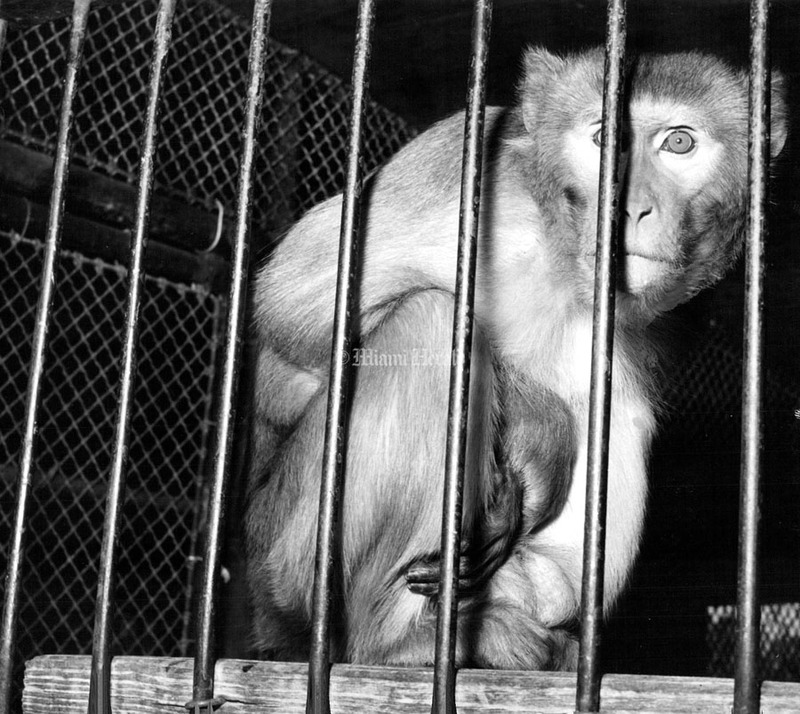 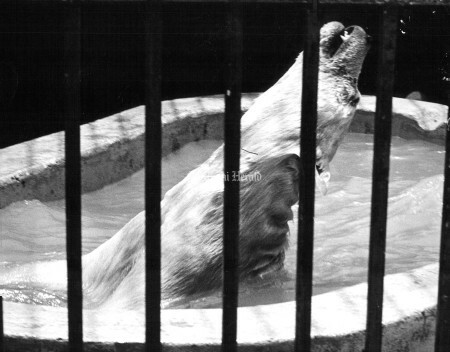 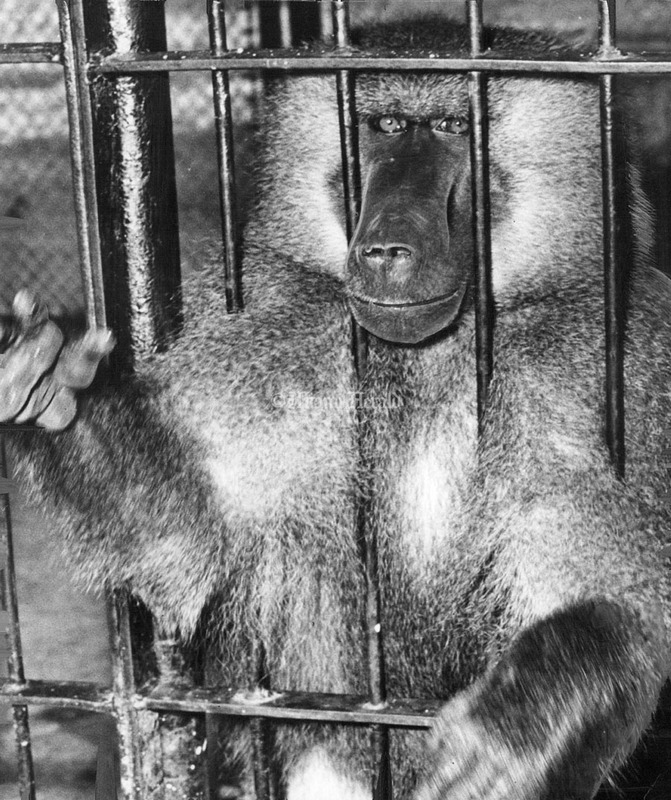 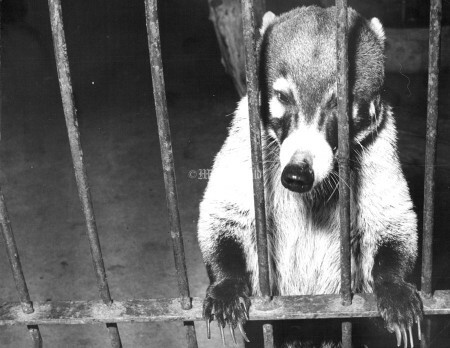 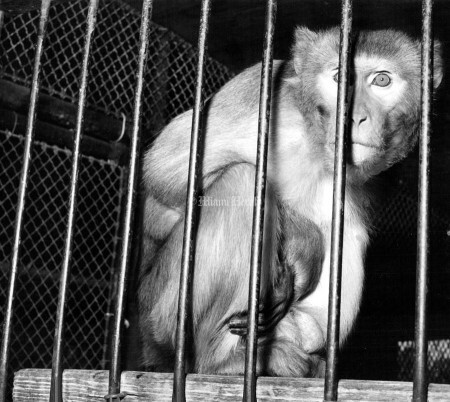 In the early ’60s, local news organizations reported that the zoo was mistreating its animals. 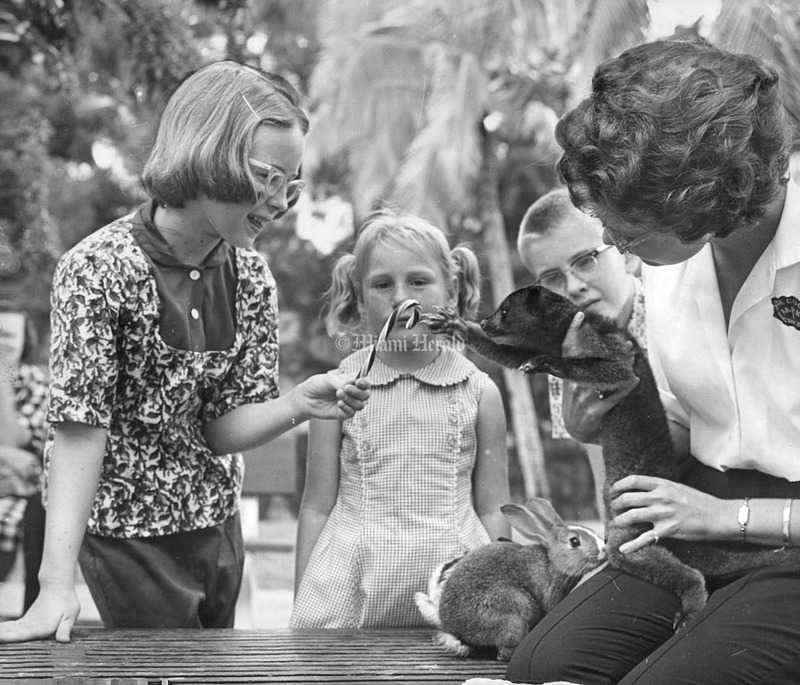 In 1965, Hurricane Betsy slammed into the area. 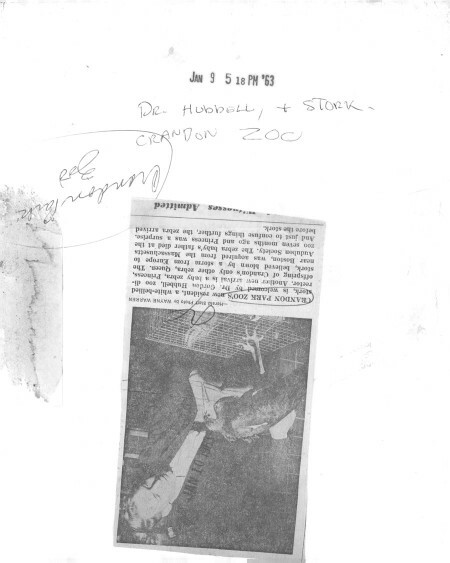 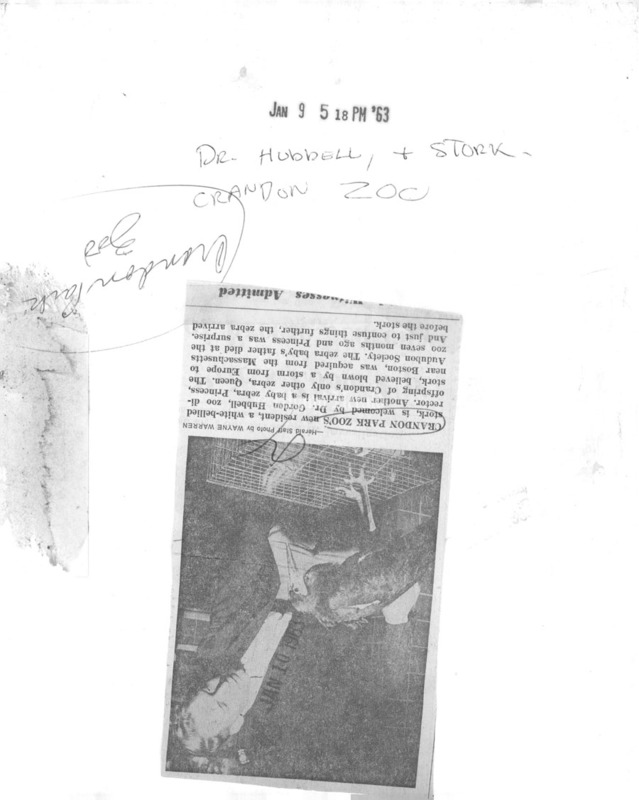 High waters drowned numerous animals in their cages and created a panic that resulted in the deaths of other animals. This sparked talks about moving the zoo to a larger, inland location. In the 1970s, Crandon’s size, location and format led to its decline. 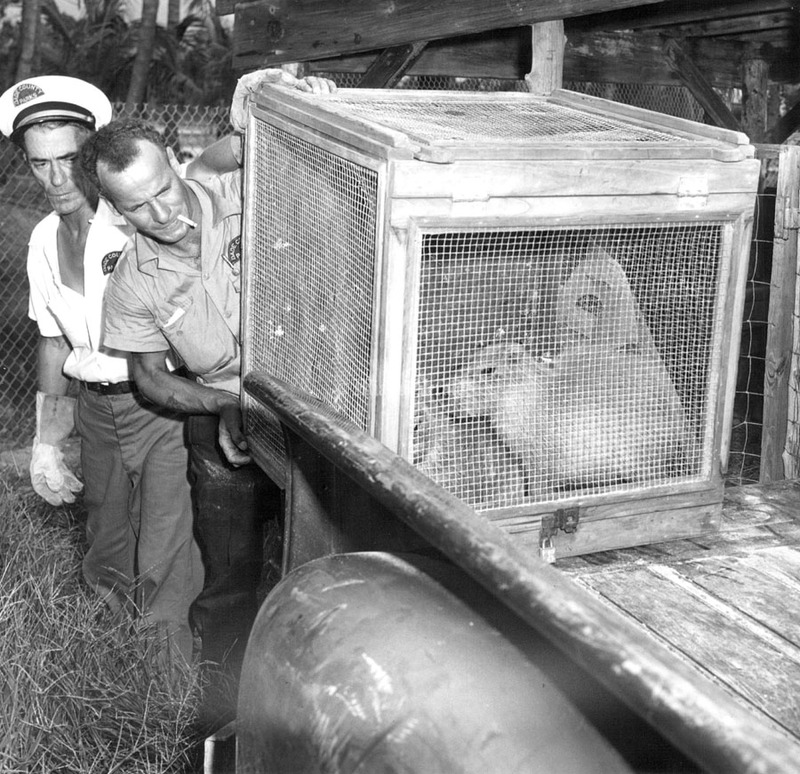 The island location threatened the safety of the animals every time a storm or a hurricane blew by. 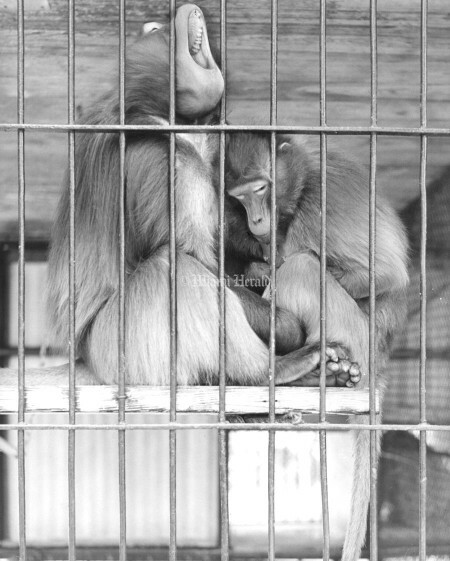 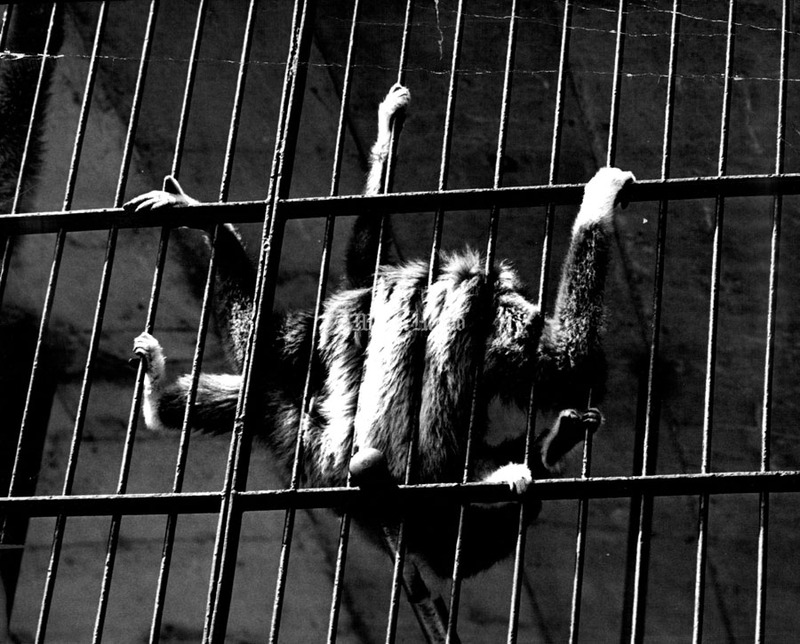 The animals were caged in concrete and steel, and the population continued to grow. 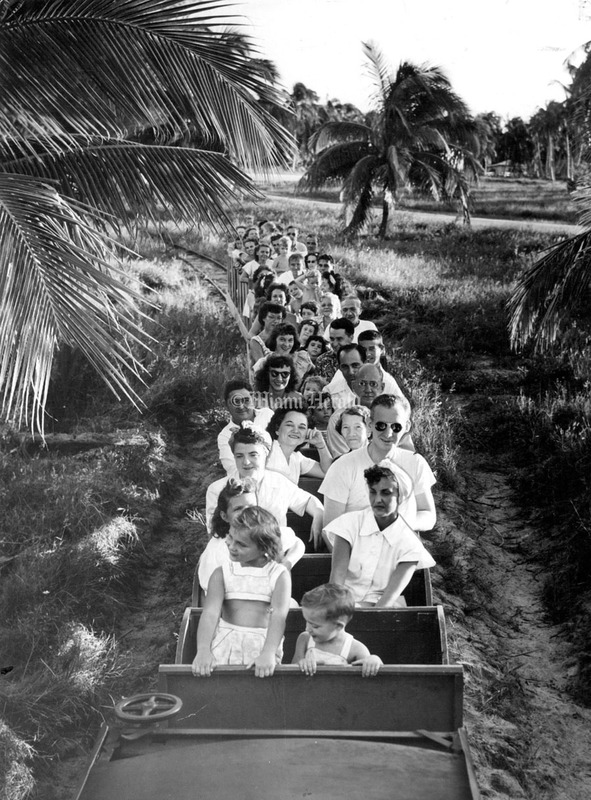 When Metrozoo was built, Crandon became nothing more than a memory. 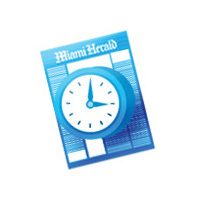 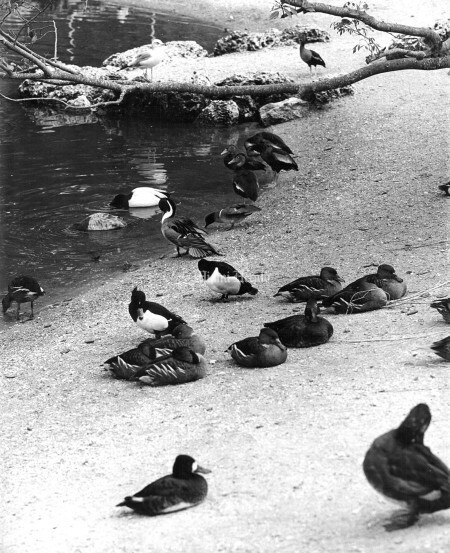 In 1991, the site of the old zoo opened as The Gardens at Crandon Park, a botanical garden. 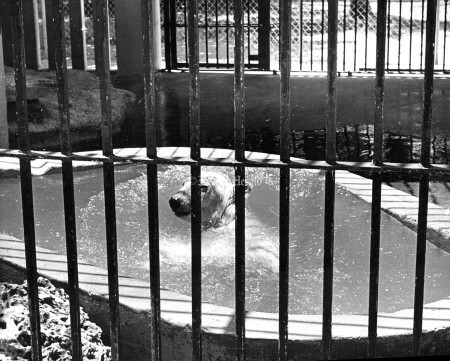 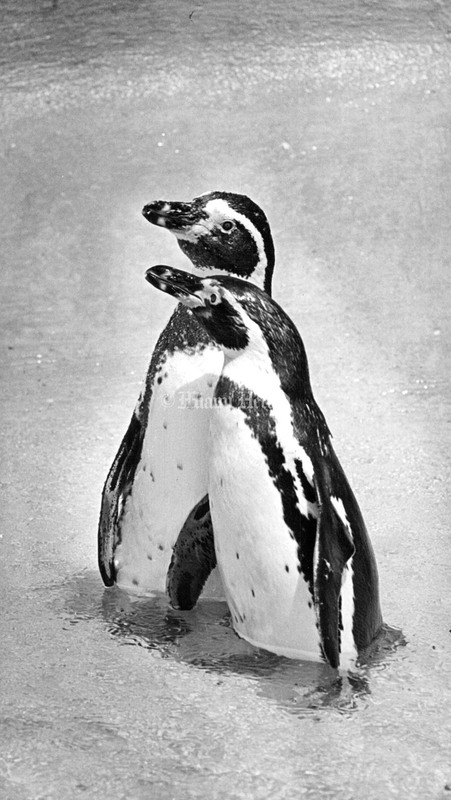 Crandon Park Zoo: Artic romance at 86 degrees. 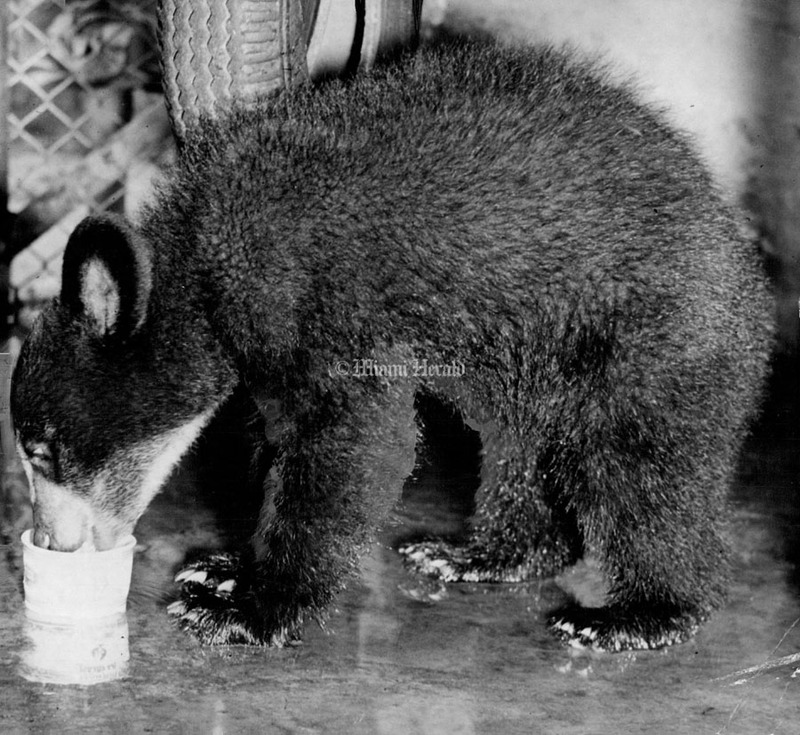 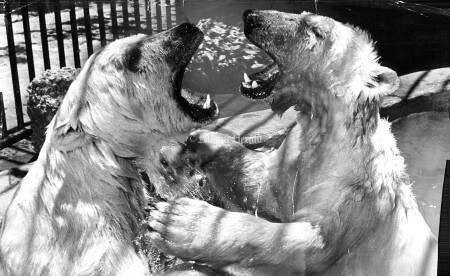 5/31/1961: Crandon Park Zoo Bears. 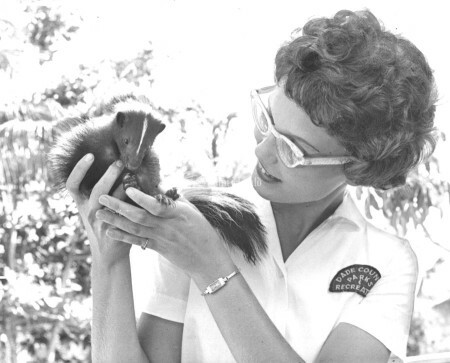 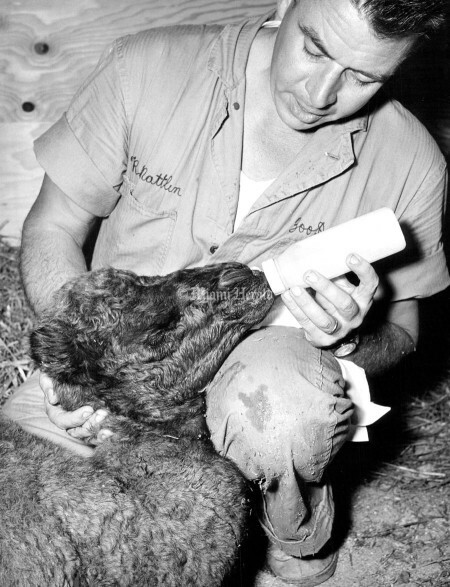 3/17/1964: Crandon Park Zoo's Zookeeper, Margo Boyd. 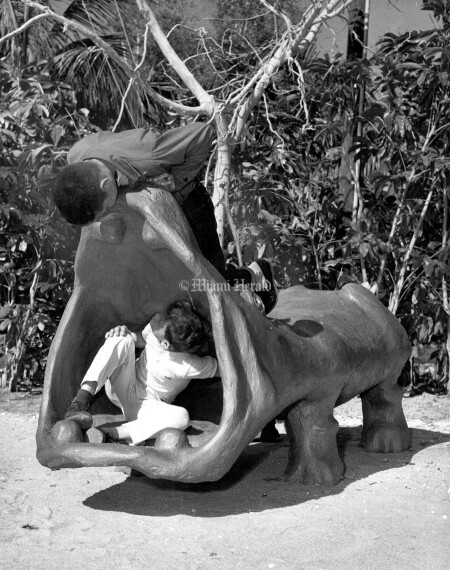 3/17/1964: 'Say Squeeze'. 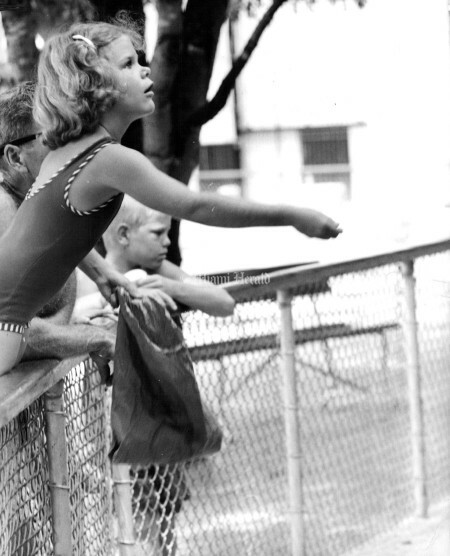 The camera catches one of Miami's more intrepid young ladies--and a friend--on the job. 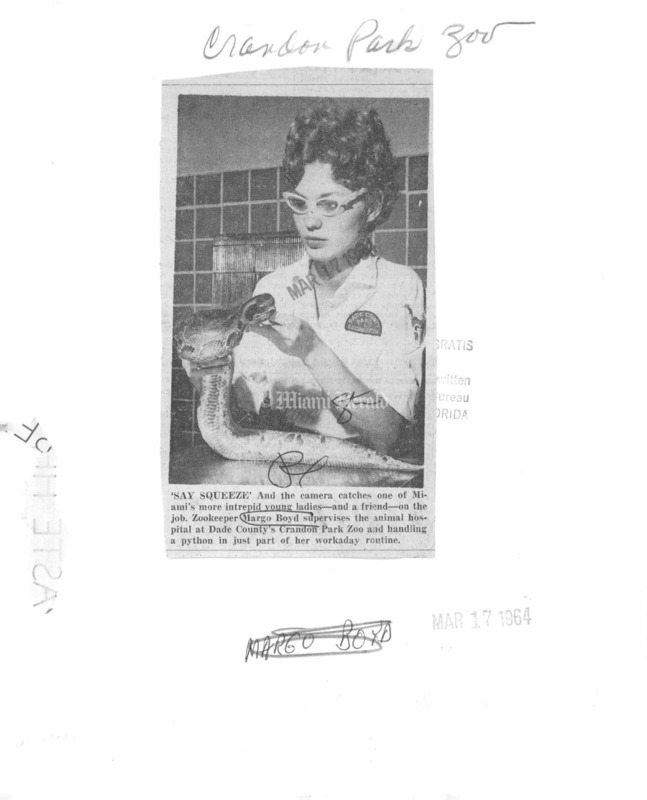 Zookeeper Margo Boyd supervises the animal hospital at Dade County's Crandon Park Zoo and handling a python is just part of her work a day routine. 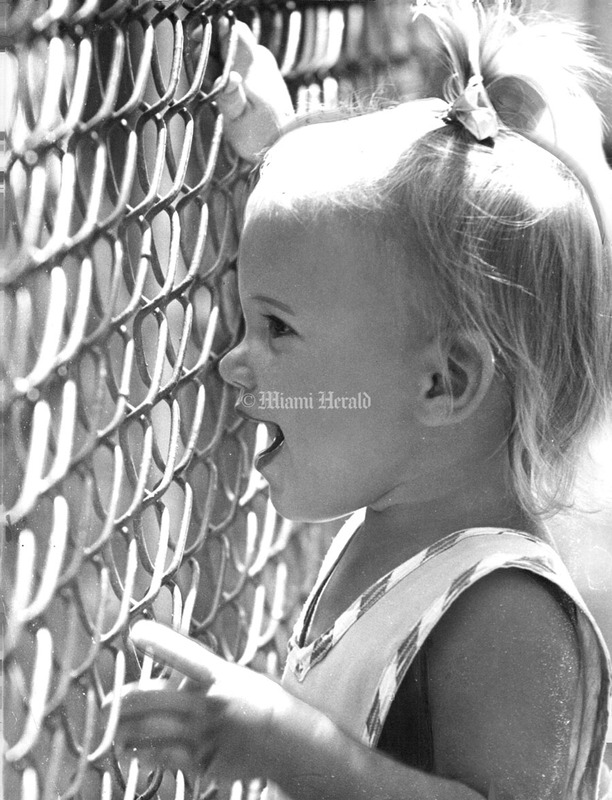 2/16/1967, Dave Didio/Miami Herald Staff: Crandon Park Zoo. 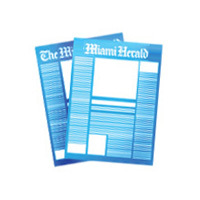 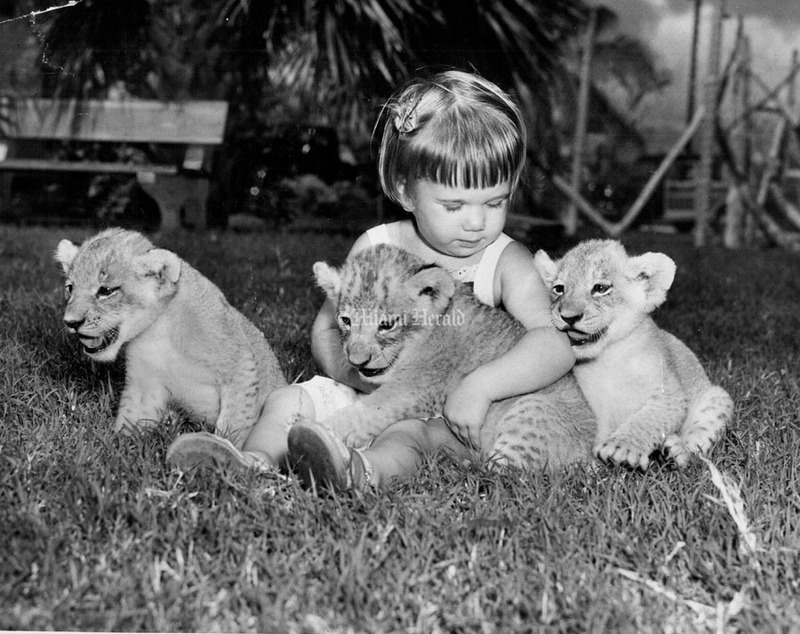 Undated, Doug Kennedy/Miami Herald Staff: Zoo's Who? 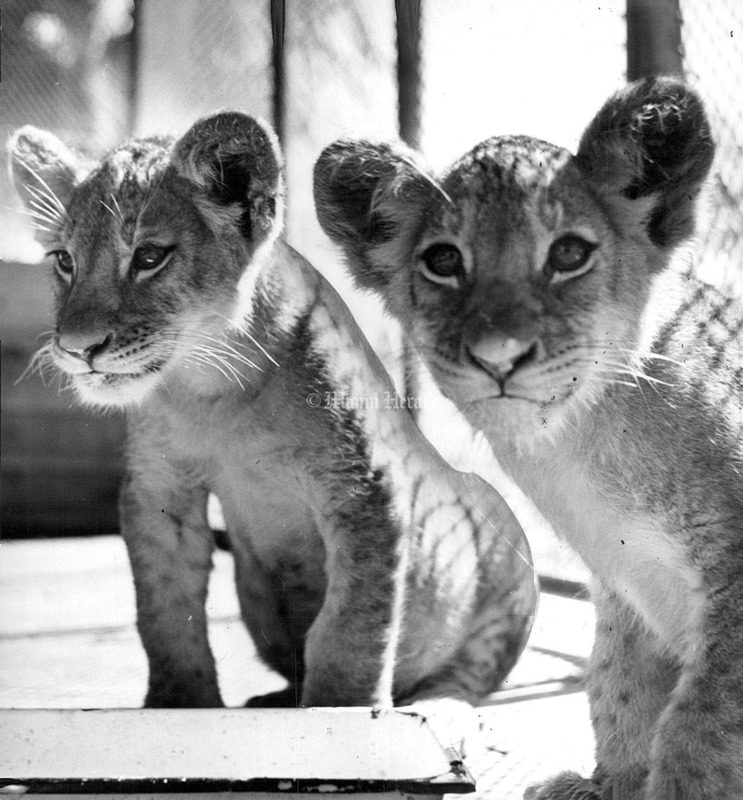 You'll be able to tell the animals without a program at the Crandon Park Zoo this month, thanks to the Israel Consulate at Atlanta which loaned the Zoo 50 signs, in Hebrew and English, with passages from the Bible which mention animals of the Holy Land. Yehoshua Trigor, vice-consul of Israel, admires one of the signs, which leave at the end of the month to continue a world tour of zoos as a good will gesture of the Israel government. 2/24/1962, Wayne Warren/Miami Herald Staff: Birds at the Crandon Park Zoo. 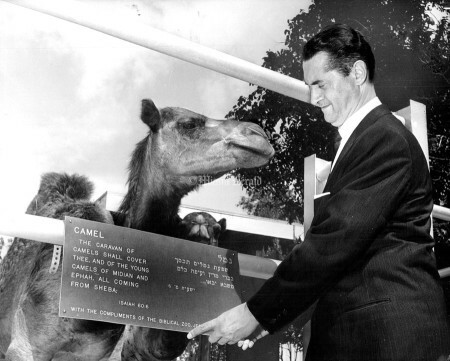 4/18/1958, John Walther/Miami Herald Staff: A Crandon Park Zoo camel is about to become a movie star--and Cecelia, his mother, is as proud as Mrs. Lassie. 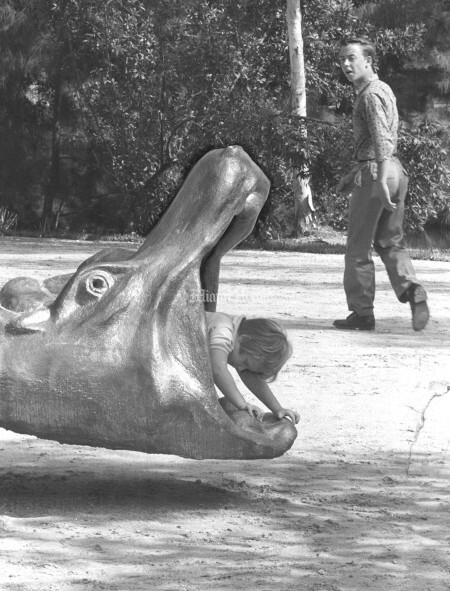 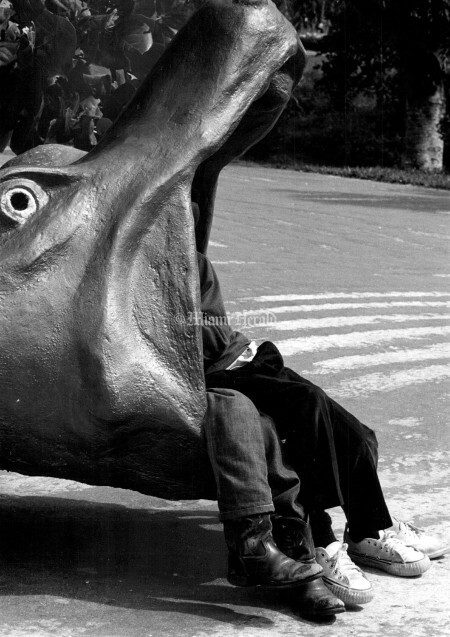 12/25/1950, John Walther/Miami Herald Staff: Susan Rodman climbs inside mouth of stone hippo. 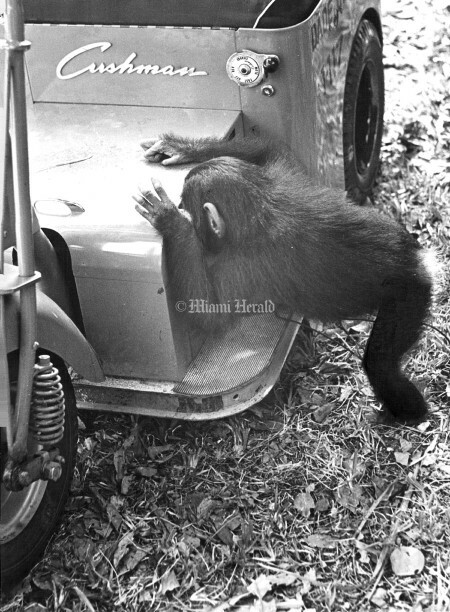 7/26/1962, Wayne Warren/Miami Herald Staff: Crandon Park Zoo. 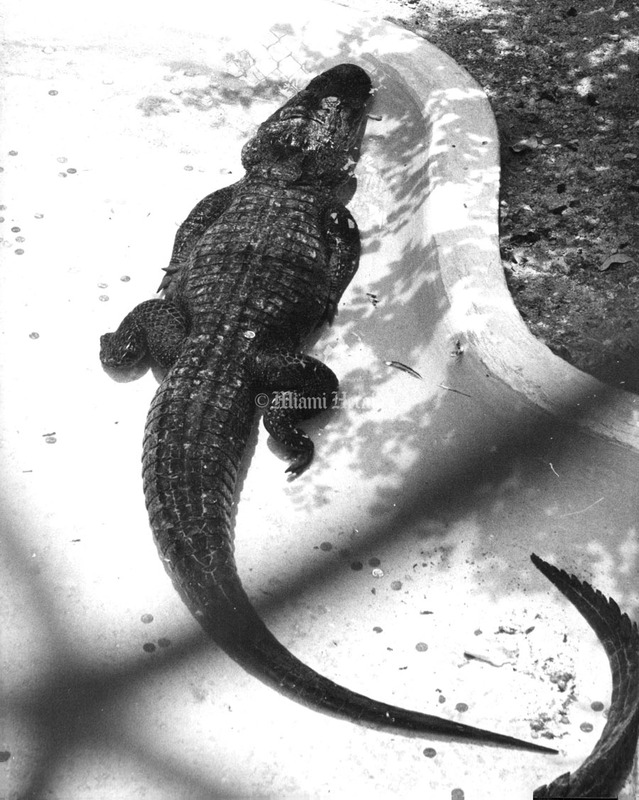 2/22/1960, Doug Kennedy/Miami Herald Staff: Crandon Park Zoo. 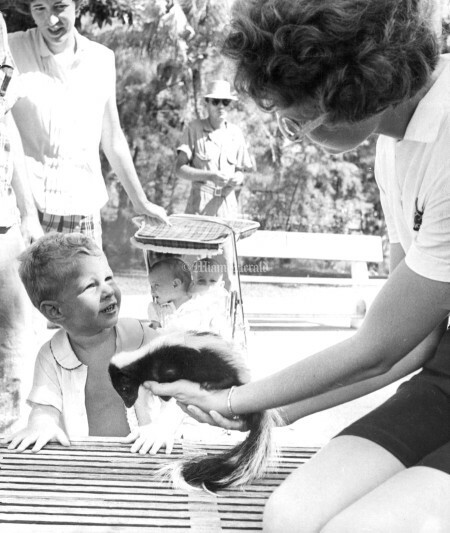 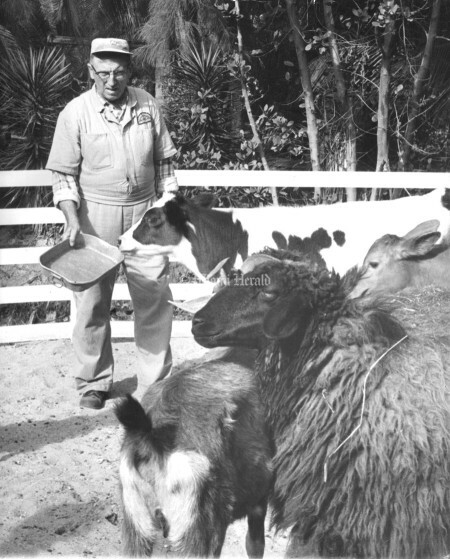 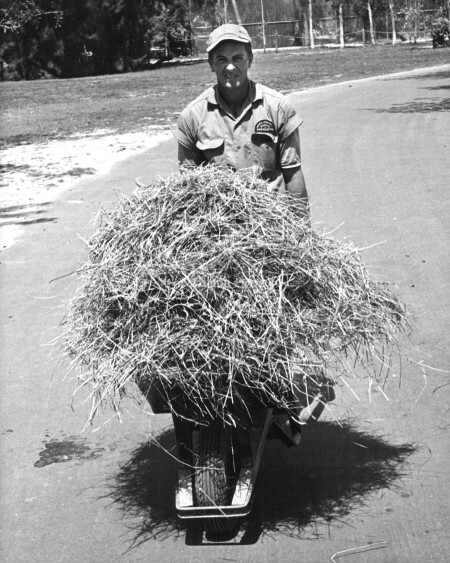 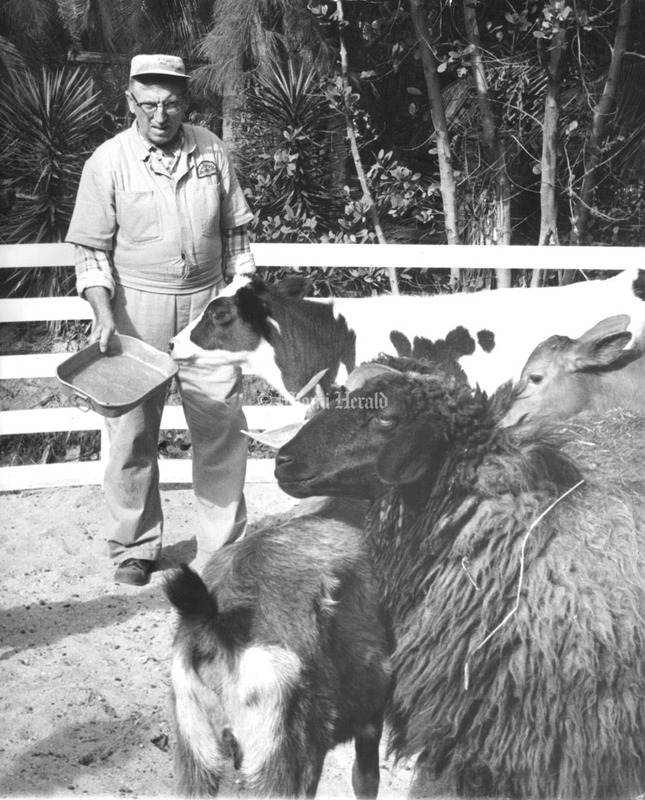 2/1/1960, Doug Kennedy/Miami Herald Staff: Wayne Homan, Head Zookepper at Crandon Park Zoo. 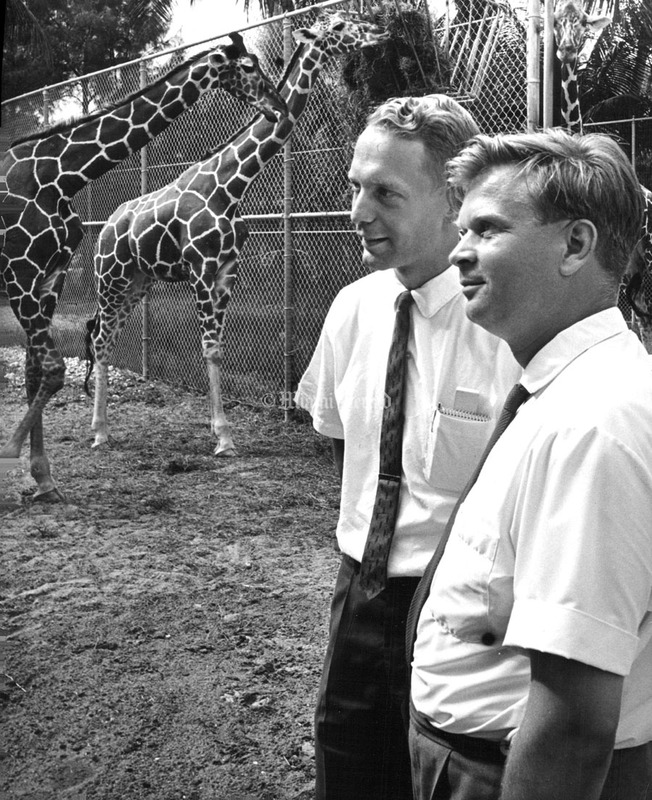 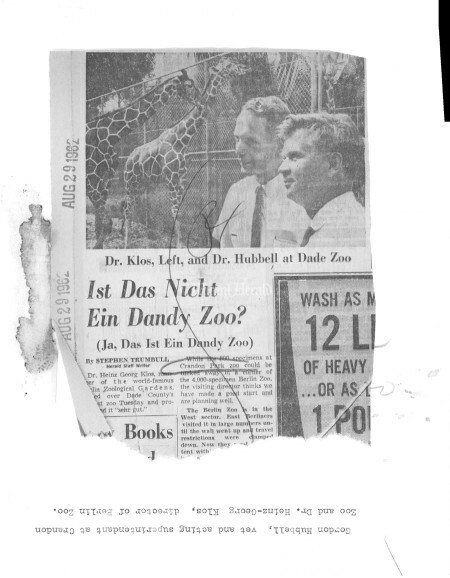 8/29/1962: Gordon Hubbell, vet and acting superintendent at Crandon Zoo and Dr. Heinz-George Klos, director of Berlin Zoo. 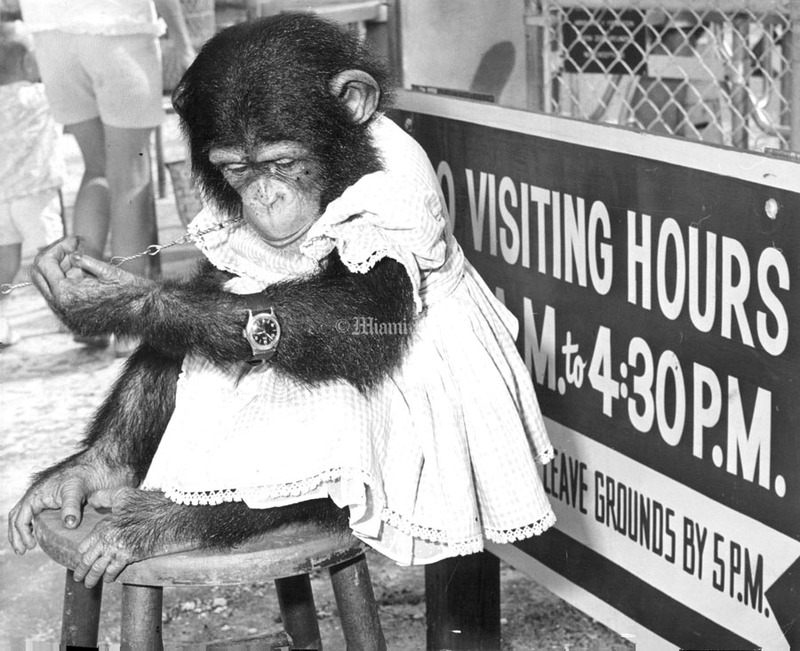 9/23/1962, Doug Kennedy/Miami Herald Staff: Katie at Crandon Zoo checking new closing time. 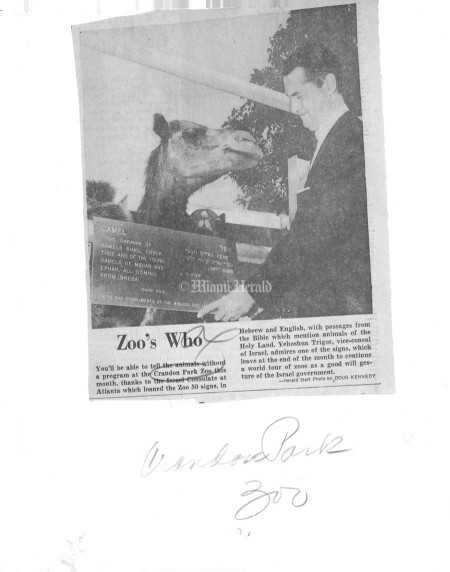 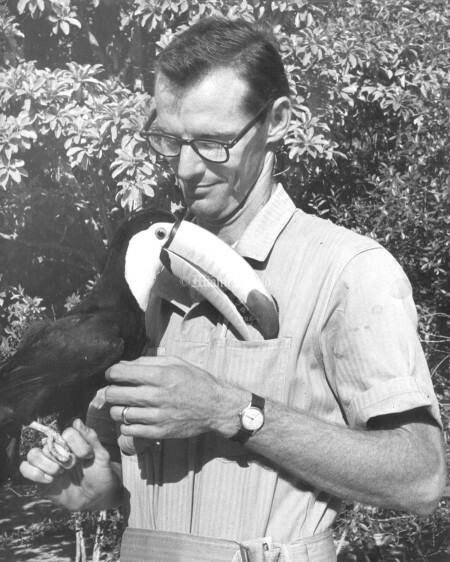 1/9/1963, Wayne Warren/Miami Herald Staff: Crandon Park Zoo's new resident, a white-bellied stork, is welcomed by Dr. Gordon Hubbell, Zoo Director. 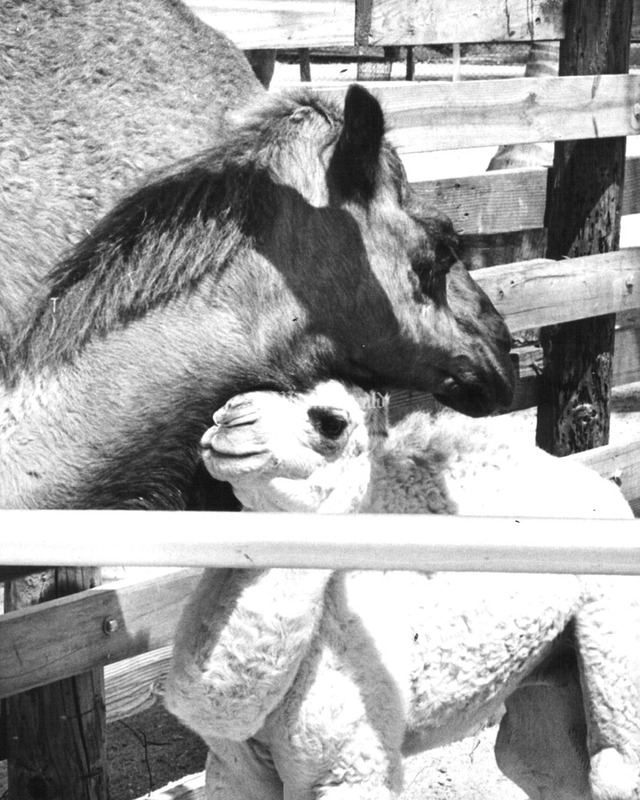 Another new arrival is a baby zebra, Princess, offspring of Crandon's only other zebra, Queen. 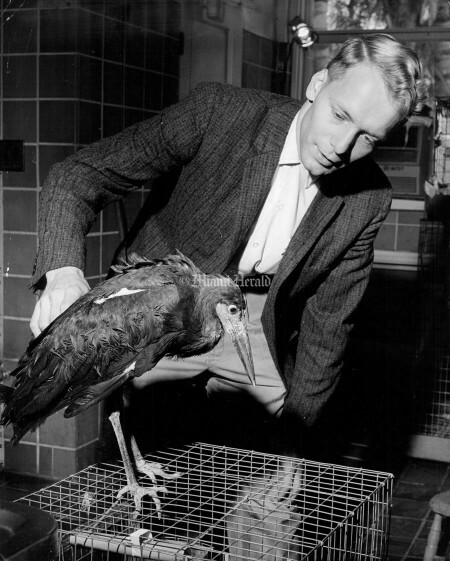 The stork, believed blown by a storm from Europe to near Boston, was acquired from the Massachusetts Audubon Society. The zebra baby's father died at the zoo seven months ago and Princess was a surprise. And just to confuse things further, the zebra arrived before the stork. 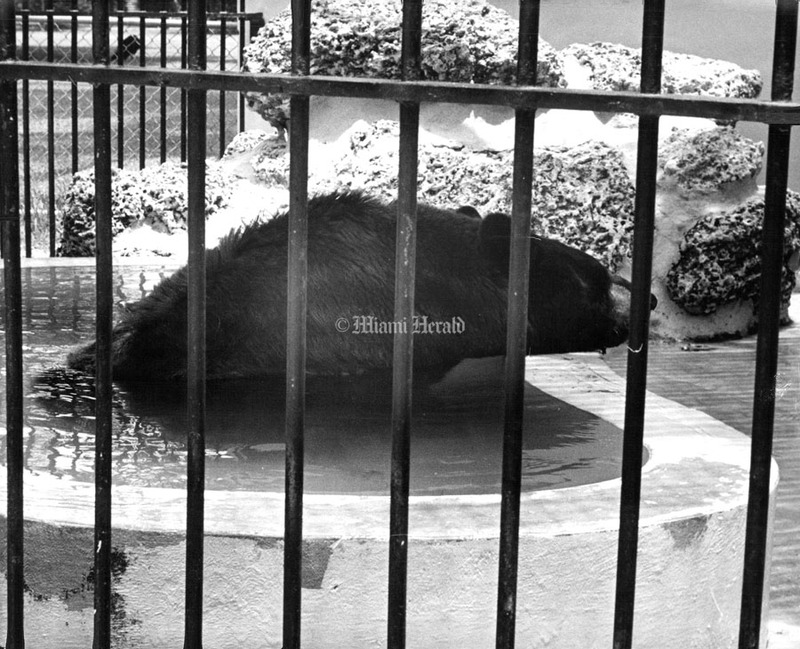 7/1/1961, Bill Vaughan/Miami Herald Staff: Crandon Park Zoo. 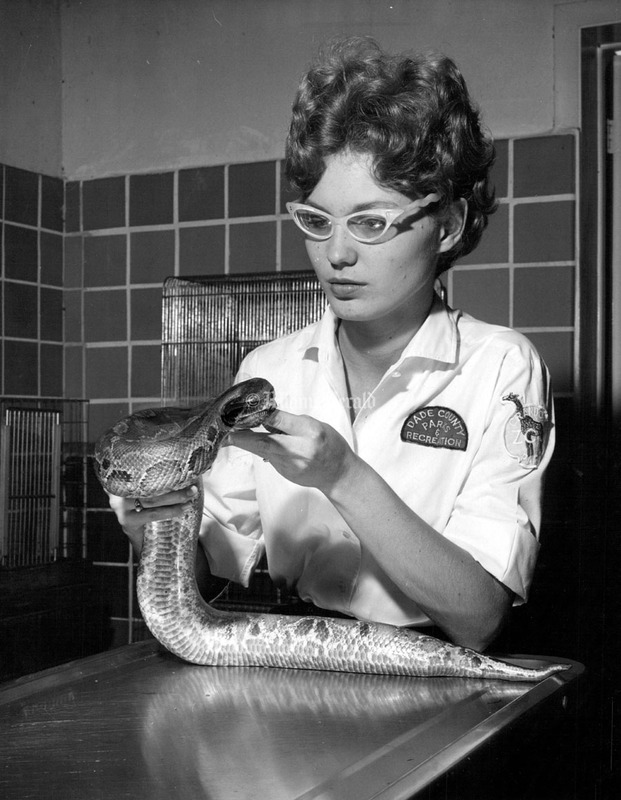 10/5/1960, Doug Kennedy/Miami Herald Staff: Margo Boyd, Zookeeper. 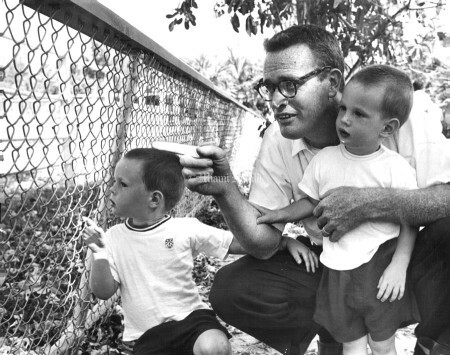 11/1/1961, Bill Kuenzel/Miami Herald Staff: Crandon Park Zoo. 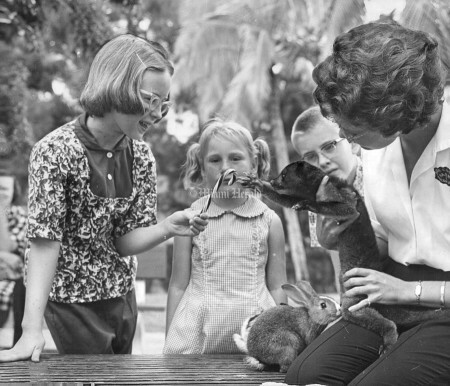 12/1/1961, Bob East/Miami Herald Staff: Deloris Dickinson 13 years, Karen Murphy 6 years, Brady Dickinson 11 years, Keeper is Margo Boyd. 3/16/1961, Bob East/Miami Herald Staff: Zookeeper Clarence Lawyer. 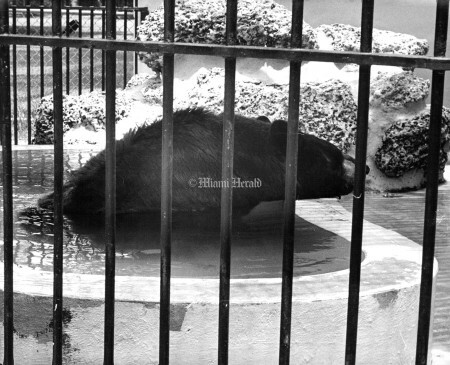 3/16/1961, Bob East/Miami Herald Staff: Crandon Park Zoo. 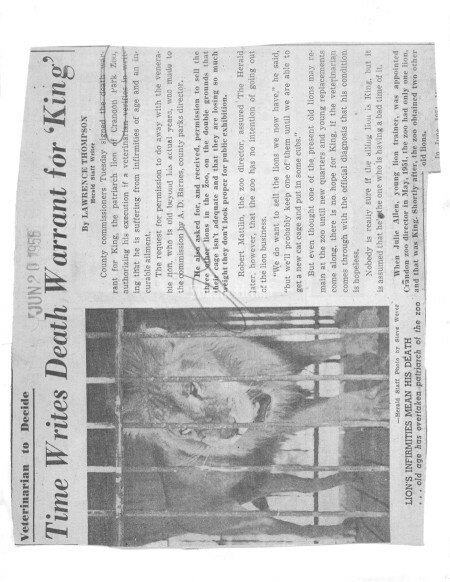 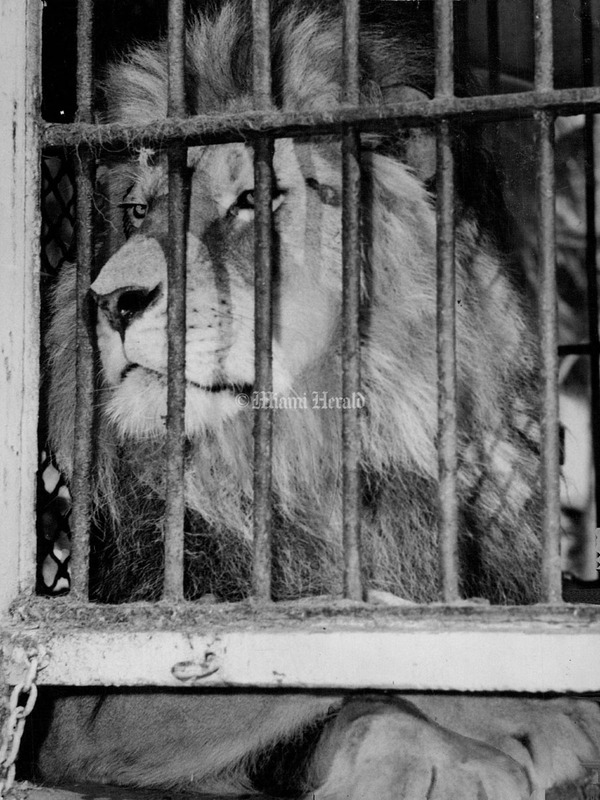 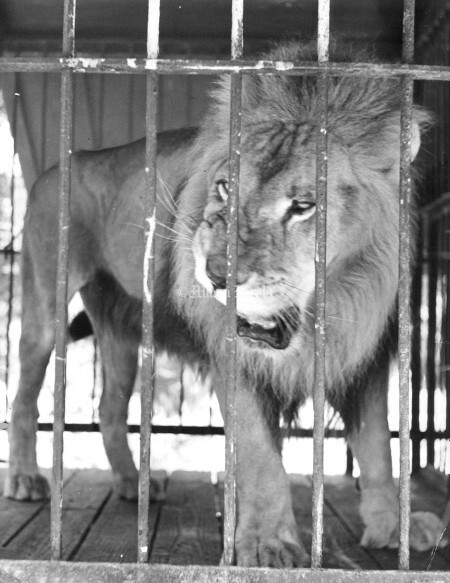 6/20/1956, Steve Wever/Miami Herald Staff: Lion's Infirmities Mean His Death...old age has overtaken patriarch of the zoo. 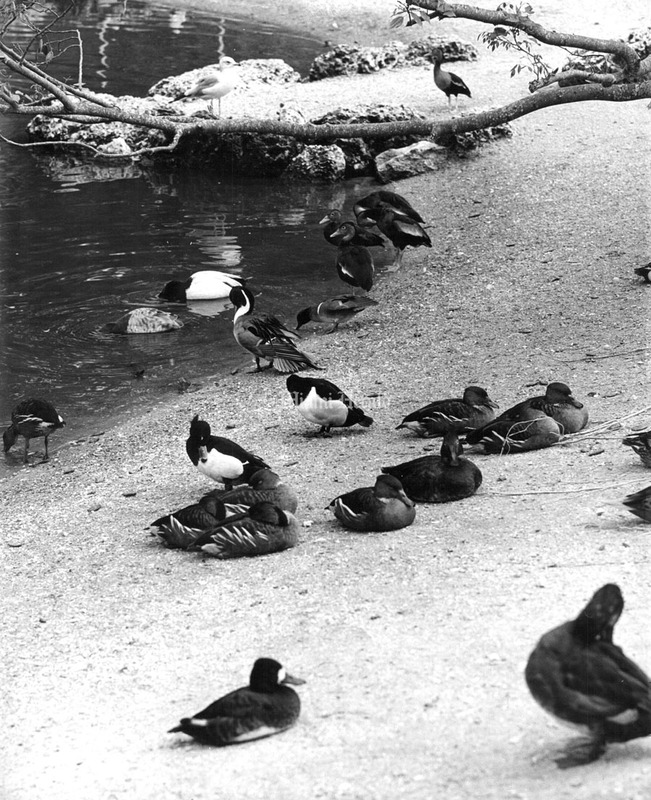 Undated: Spring at Crandon Park Zoo. 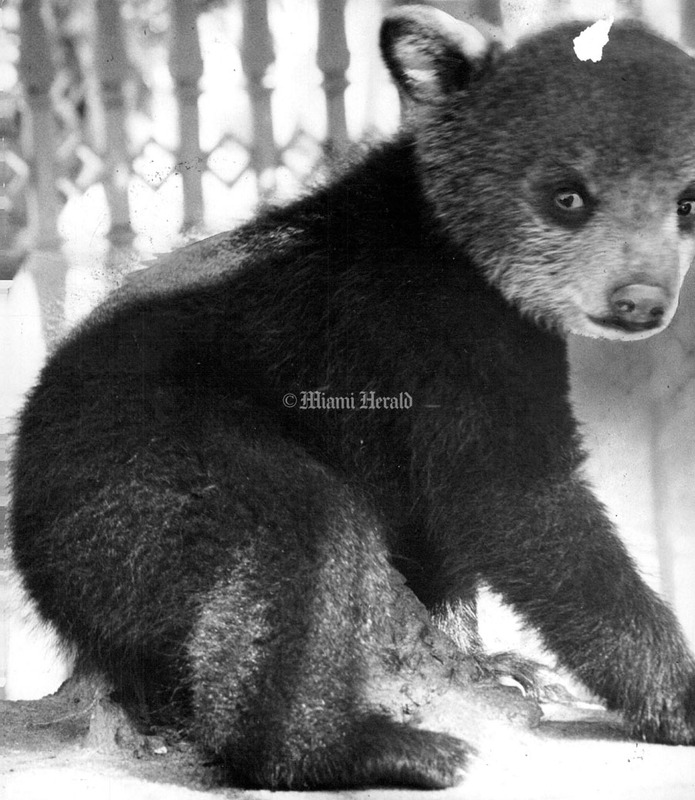 4/21/1950, Fred Brent/Miami Herald Staff: Crandon Park Zoo. 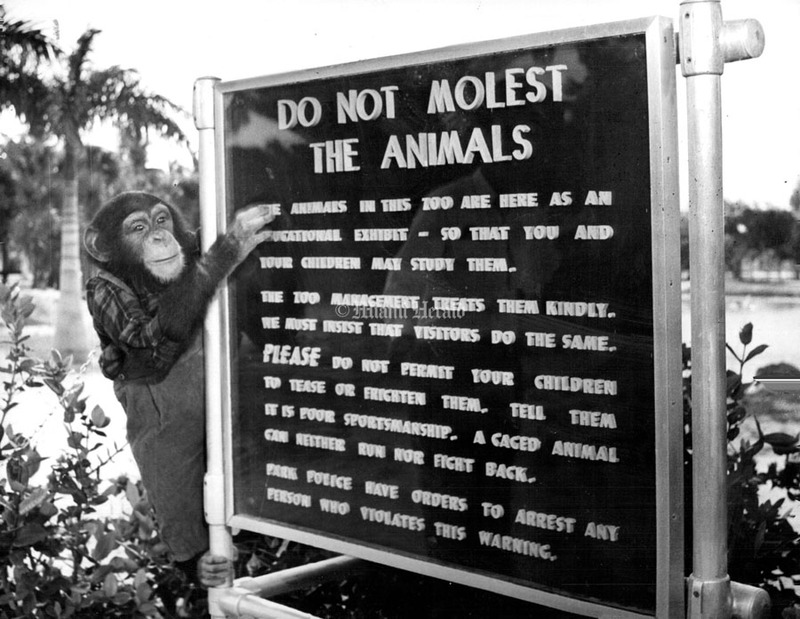 12/5/1954: "Do not molest the animals." 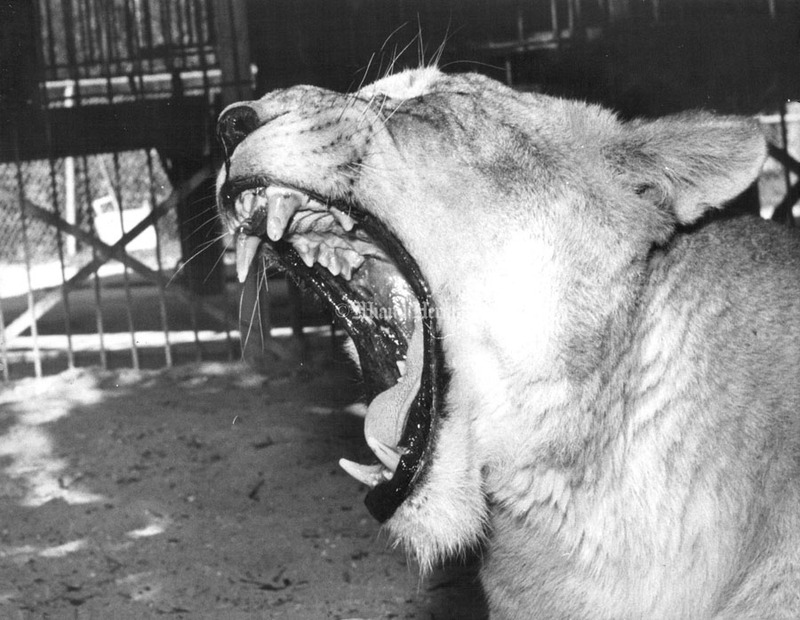 Crandon Park Zoo. 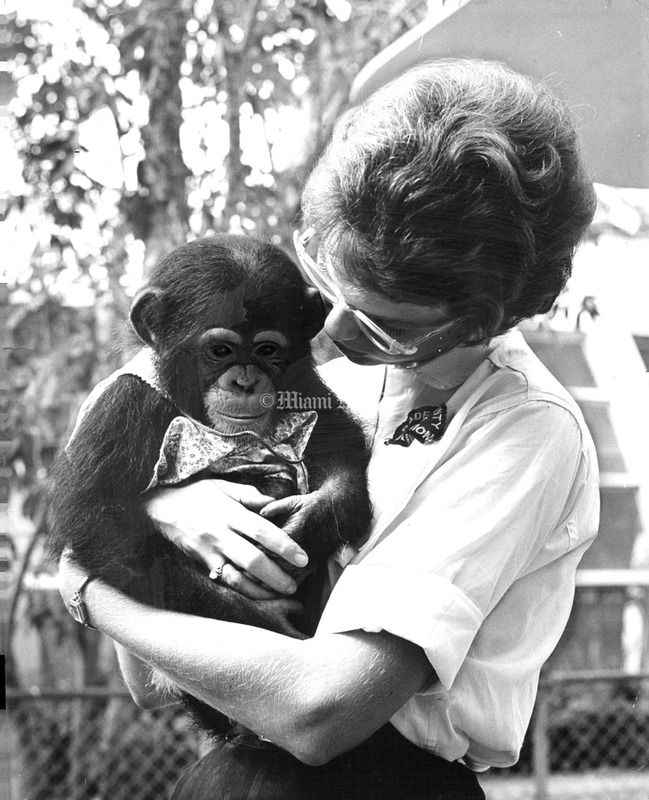 2/24/1962, Wayne Warren/Miami Herald Staff: Margo Boyd, student at the U of M, holds pet chimp in the kiddie section of the crandon park zoo. Margo is a part-time Zookeeper. 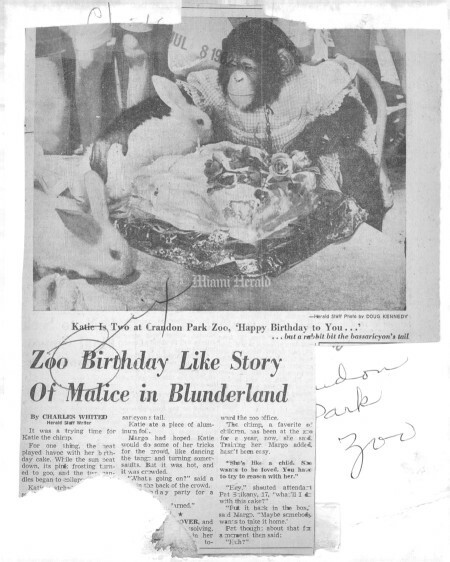 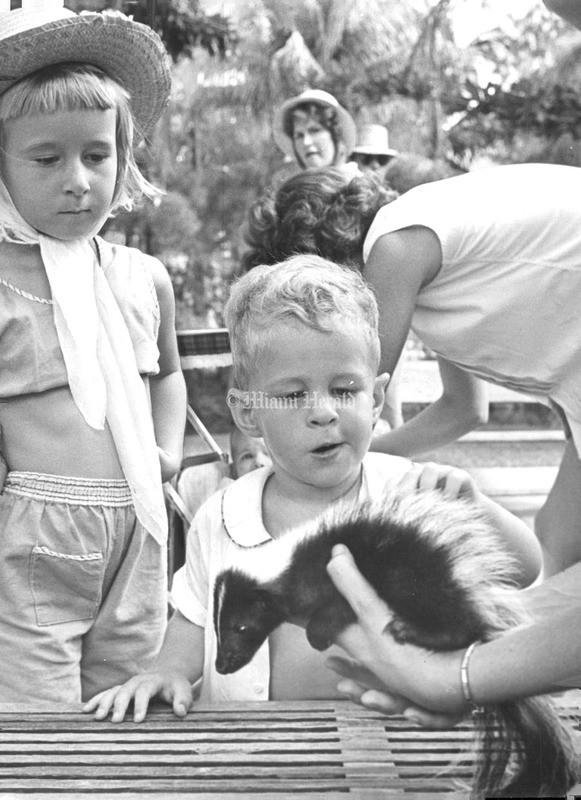 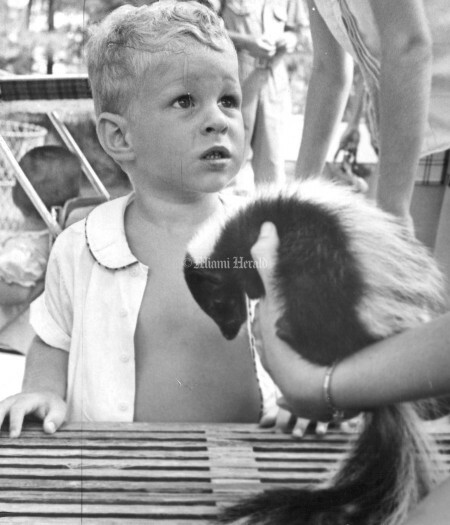 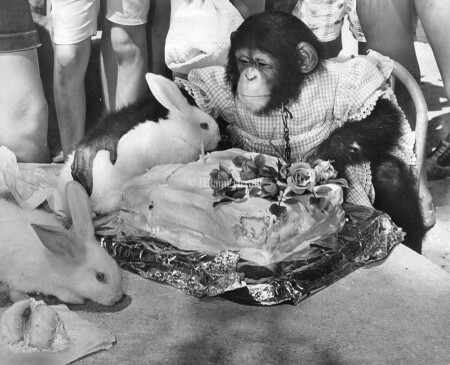 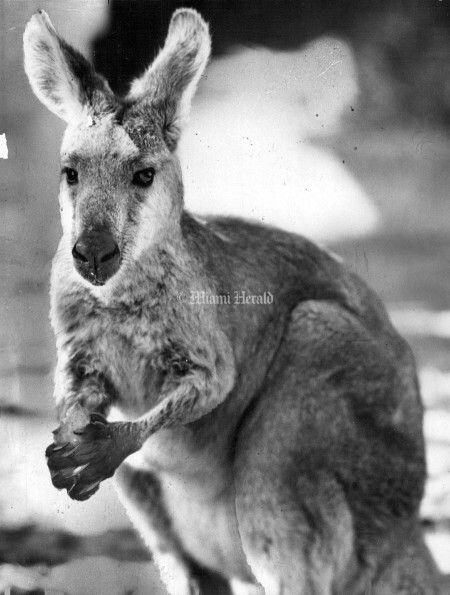 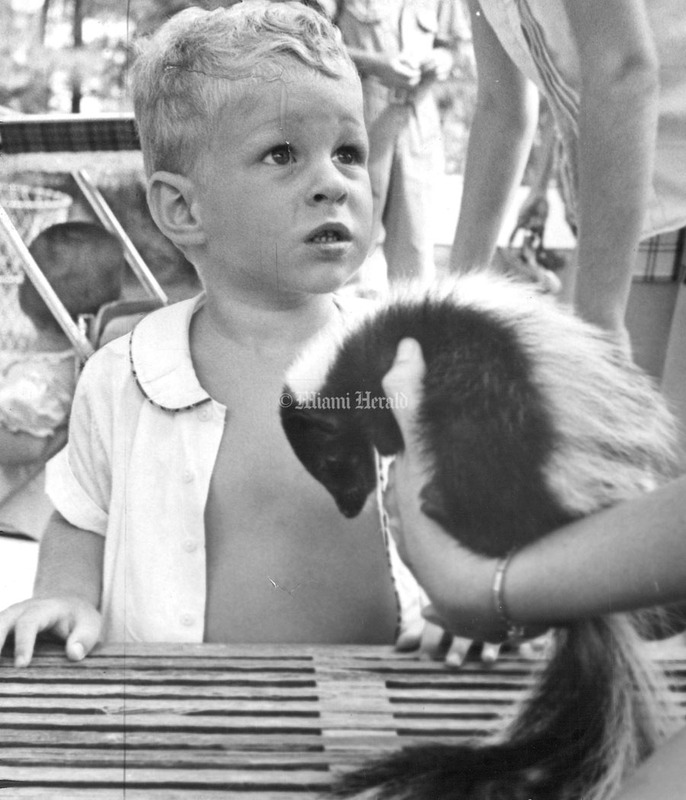 7/8/1962, Doug Kennedy/Miami Herald Staff: Katie Is Two at Crandon Park Zoo, 'Happy Birthday to You"...but a rabbit bit the bassaricyon's tail. 8/1/1950, Fred Brent/Miami Herald Staff: Crandon Park Zoo. 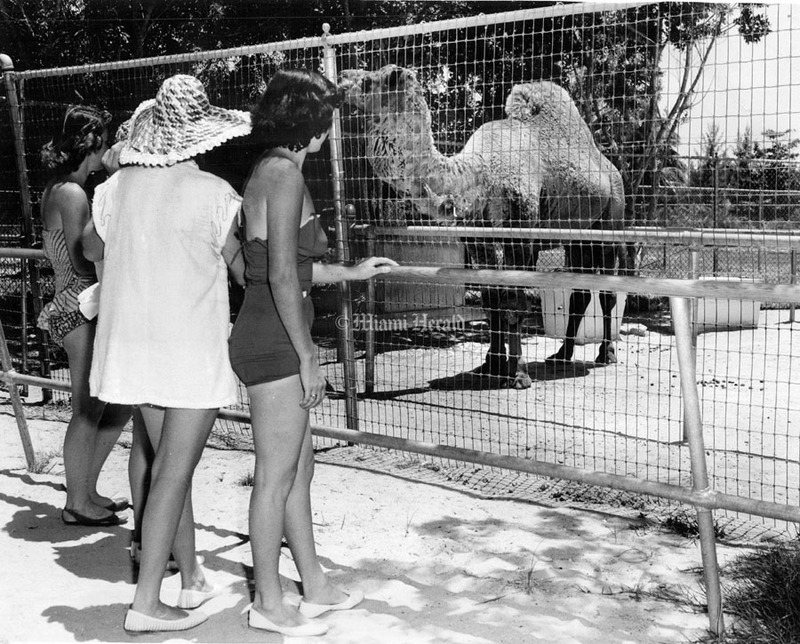 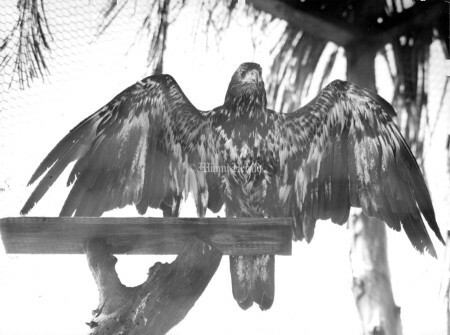 Undated, Bill Kuenzel/Miami Herald Staff: Crandon Park Zoo. 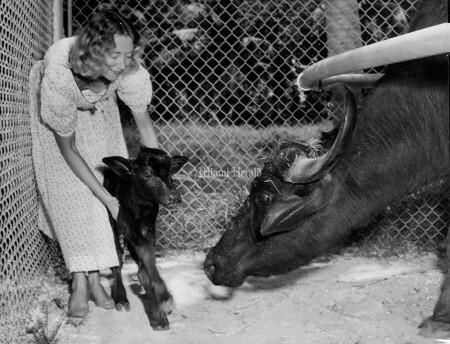 6/24/1949, Bill Kuenzel/Miami Herald Staff: Crandon Park Zoo. 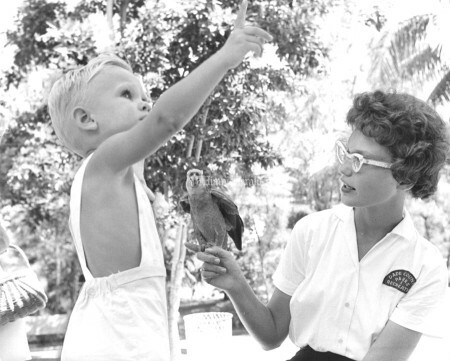 1/10/1956, Steve Weaver/Miami Herald Staff: Crandon Park Zoo. 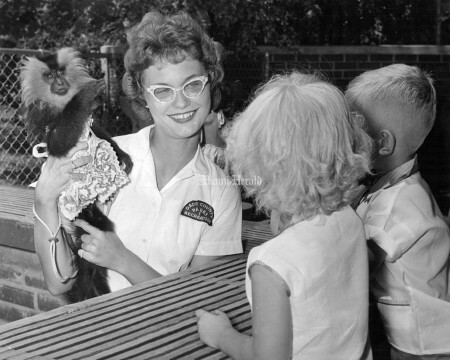 7/10/1953: Zoo Director, Mrs. Julie Allen Field. Mrs. Fields was the youngest zoo director on record and one of only three women zoo directors at the time. 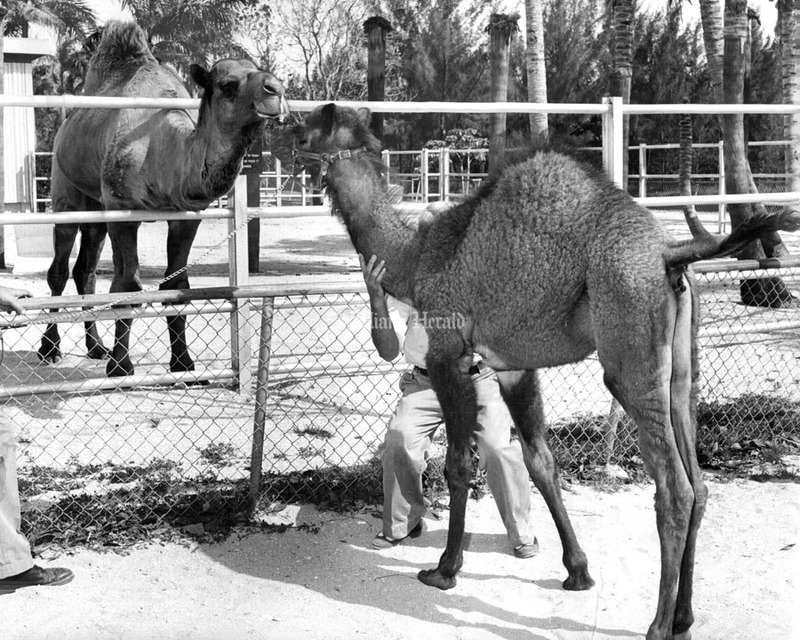 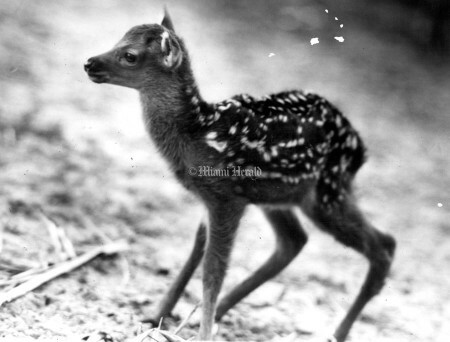 12/19/1957, Bill Kuenzel/Miami Herald Staff: Crandon Park Zoo. 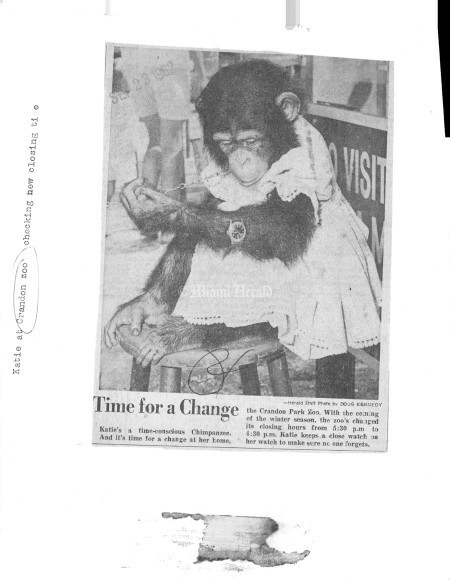 3/29/1973: A very handy monkey. 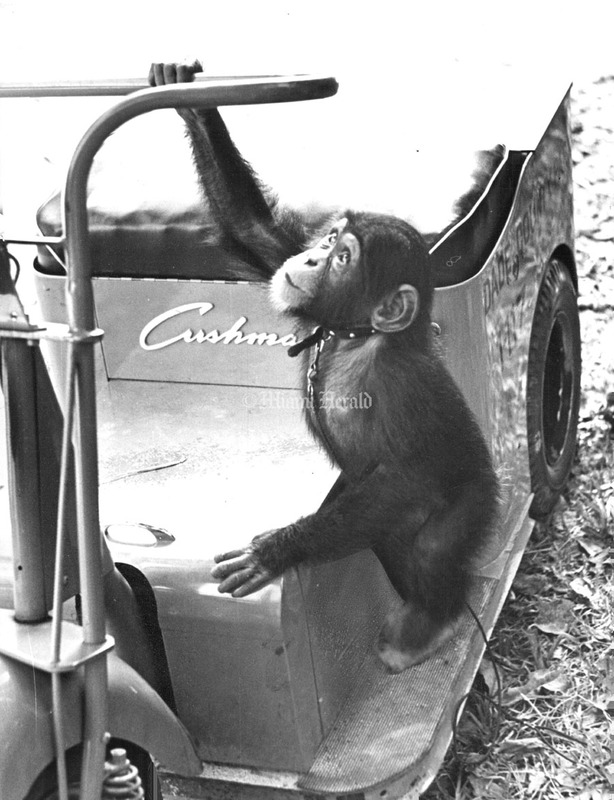 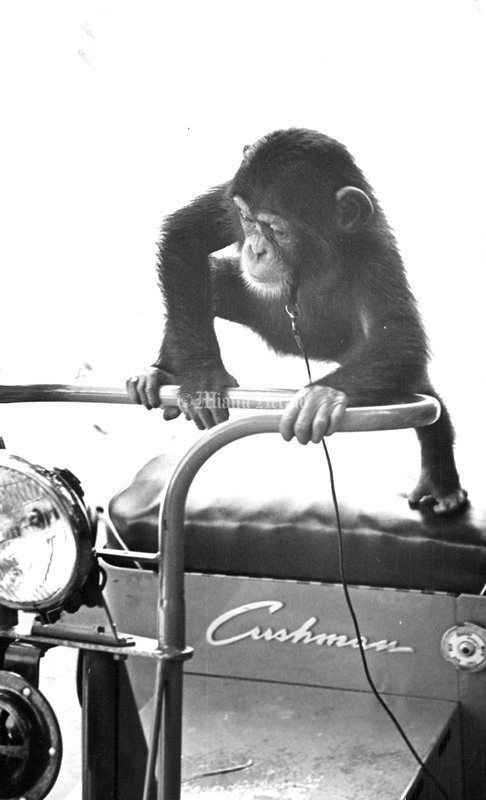 At Crandon Park's Zoo a Gobbons monkey looks like the ideal mechanic with all those hands and feet showing. Actually, its the back of the mother monkey with her baby sitting on her lap. 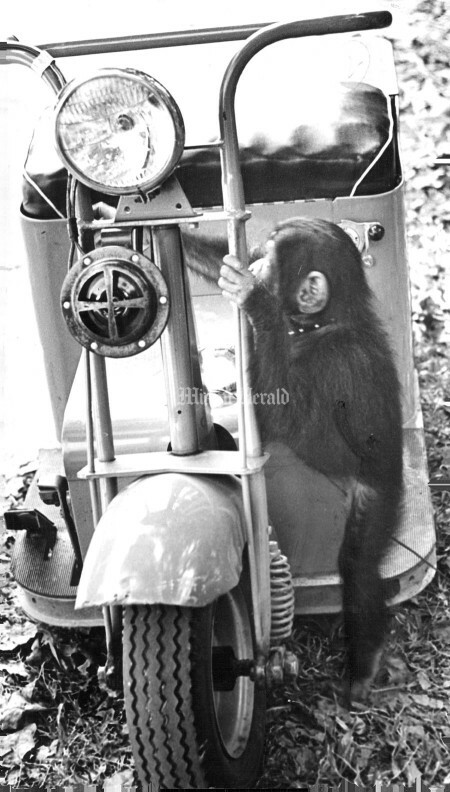 I wonder how they'd be with a monkey wrench? 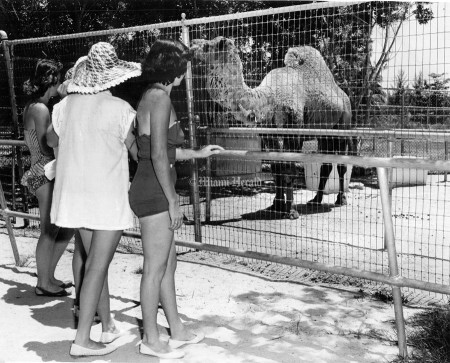 Undated: The zoo at Crandon Park is located right on the beach. 3/22/1969: Crandon Park Zoo 1903 vintage railroad station.